Edinburgh, Scotland, UK. 2 August, 2108. Public chess games in cafe in Princes Street Gardens. 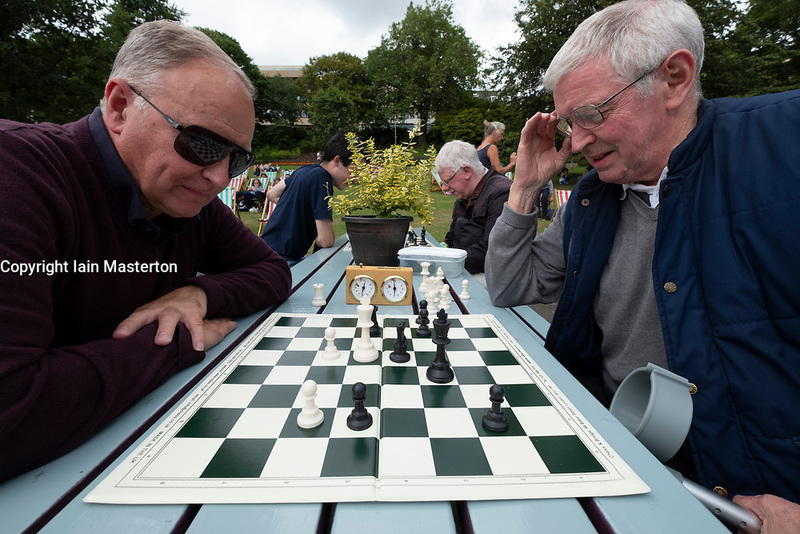 James Ferguson (L) and Dennis Anderson play chess on tables provided for the public and local chess clubs. They meet every Thursday and Sunday in summer.